Popcorn Time is an online TV Show and Movie streaming service that allows users to stream content free of charge. The service uses torrents and peers to stream content, with a selected file being downloaded from a random torrent site. Popcorn Time has been undergoing some challenging times, but the service is now back up and running, operating from the fork popcorntime-online.tv. It used to be a stand-alone application but Popcorn Time is now available as a website. 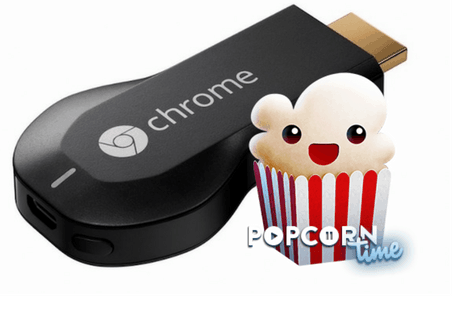 One of the best ways of enjoying the free HD TV Shows and Movies available on Popcorn Time is with Chromecast (Well, besides Popcorn). Chromecast is a cool device from Google that allows you to cast anything from your chrome browser just by tapping an icon and connecting. It is simply inserted into the HDMI port of your TV, and it is then able to connect to Chromecast capable devices in the same network, as well as opening up the rest of the world with smart TV capabilities. 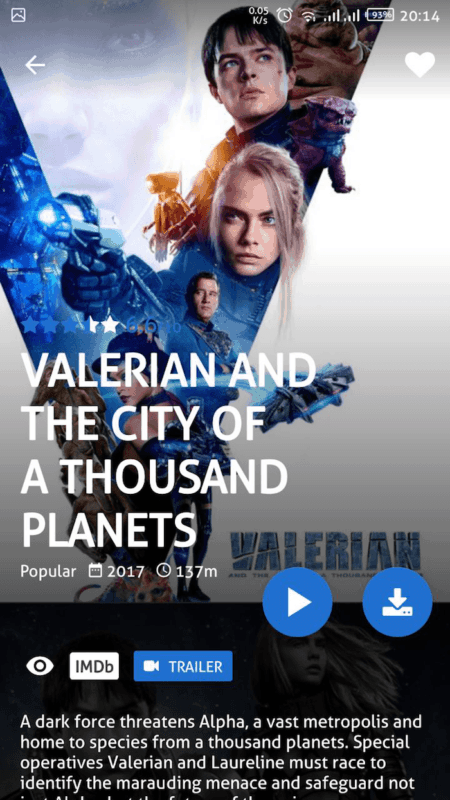 In this guide, I’ll show you how to connect Chromecast with Popcorn Time. With Popcorn Time being free and always giving you access to great and new content, you can easily know that Popcorn Time is not entirely legal. This is the reason why the service has faced so many legal challenges, and why we have so many forks for the same. Since the service has even been taken down for a period, some alternatives to Popcorn Time appeared on the market. However, Popcorn Time is now alive and kicking. The movies and TV Shows provided by Popcorn Time are mostly pirated and may be illegal in your country. This, therefore, calls for the use of a VPN. A VPN encrypts your traffic and tunnels it through a server based on a select country. This process protects your identity by masking your IP address and makes your traffic unrecognizable by third parties. The VPN also helps in unblocking Popcorn Time in countries where the service is banned. For example, in the UK, you can’t go past the “please wait…” screen. However, even if you can access Popcorn Time from your country, make sure you use a VPN for your own safety and security. You can read more about the best VPNs for Popcorn Time. The easiest way to watch PocornTime is by using your Chrome browser on the computer or using the PopcornTime App on iOS or Android. If you access the Popcorn Time website using your iOS or Android device, you will be given the option to download the app. However, you will agree with me that these screens are too small to let you fully enjoy your movie time, and that is why we need to connect them to Chromecast. Connecting your stream to Chromecast is actually the easiest method to watch your stream on TV with it being only a button away. Here is how to get PopcornTime up and running. To watch PopcornTime on your computer, you will need a Google Chrome browser. You then need to navigate to the Popcorn Time Website. Doing so will give you access to thousands of TV Shows and Movies to choose from. You will be able to choose whether to watch a Movie or a TV show. You will also be able to filter them according to genres and categories that are on the left-hand side menu. After you have chosen what you want to watch, a page for that movie will open. Here, you can read a short intro of the movie. It’s here that you can also choose to watch the trailer or not. You can also set your movie to either 1080 p or 720 p.
Choosing a smaller torrent size makes sure you get the fastest download. There is also a menu where you can see how many peers are available and the fastest torrent comes with a “green battery” sign. If it’s your first time, you will be prompted to install the Torrents Time browser plugin. Don’t worry; it’s a small file that installs quickly. 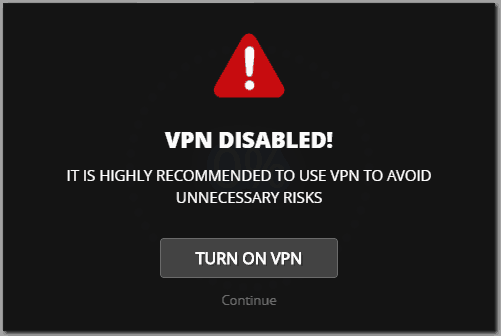 If you haven’t turned on your VPN, you will be advised to do so, to avoid legal action being taken against you. Of course, this depends on your country. After you turn on your VPN, you will then be able to watch your movie/ TV show of choice. You can then identify the Cast button on your Chrome Browser. If you have pinned it, it’s on the top right side. If not, click settings on the top right side, and select cast. The button will appear. Click it and select your Google Chromecast to cast your screen from your computer to your tv. Your movie or TV Show should now appear on your television screen. Using the mobile version of Popcorn Time is very easy, and so is projecting it to Chromecast. Once you navigate to the Popcorn Time Website, you’ll be prompted to download the app. On selecting the Movies category, you will be given a number of options. 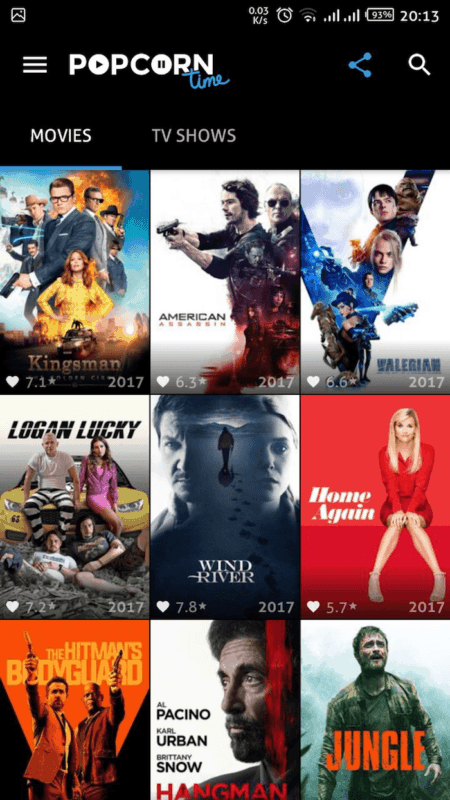 You can select a particular movie, and you will be able to read a short description and see its metadata including the IMDB rating. You can then click play. After a moment, it will start, and automatically flip your phone. On the top right side, there is a beaming icon that appears. 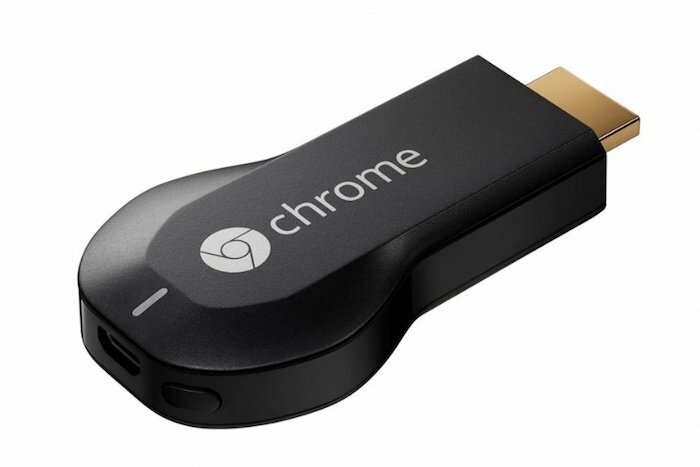 When you press it, you will get the option of projecting to your Chromecast TV. Just grab some popcorn and enjoy!